DHEA, the most abundant steroid in the blood of adult humans, peaks in early adulthood and declines with age. 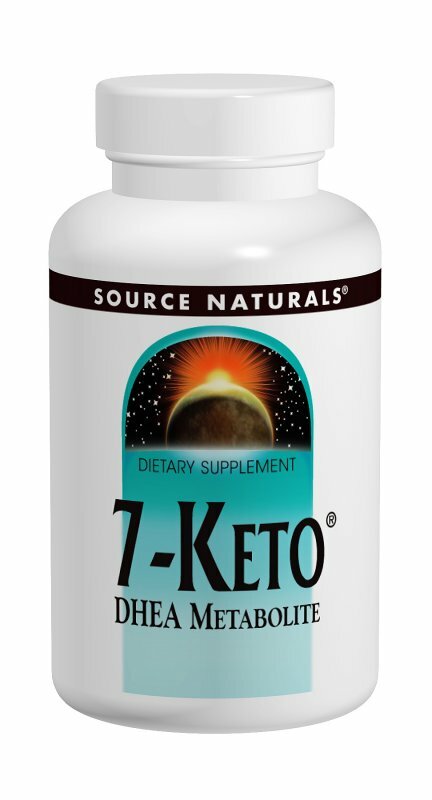 Animal research indicates that7-Keto, a natural metabolite of DHEA, is a more active inducer of thermogenic enzymes than DHEA. Research on humans has shown that supplementation with 7-Keto is well tolerated. It is not converted to estrogens or androgens, a point of concern for many people. Warning: If you are pregnant, may become pregnant, or breastfeeding, consult your health care professional before using this product. >Do not use if either tamper-evident seal is broken or missing. Keep out of the reach of children.